Thomas Sanderling was born in Novosibirsk and grew up in St.Petersburg, where his father Kurt Sanderling was a conductor of St.Petersburg Philharmonic Orchestra. After graduating from the Special Music School of Leningrad Conservatory he studied conducting at the Hochschule fuer Musik in East-Berlin. At the age of 24 he became the Music Director of the Halle Opera and the youngest chief conductor among all opera and symphonic conductors of Eastern Germany including Dresden Staatskapelle and Leipzig Gewandhaus. He won the Berlin Critics’ Prize for the performances at the Komische Opera. After Shostakovich heard him with the State Orchestra of Russia, the composer asked Thomas Sanderling to give the German premieres of his 13th and 14th symphonies and this relationship also saw him make the world premiere recording of ‘The Michelangelo Suite’, Shostakovich’s last orchestral work. This CD led to the assistant work for Leonard Bernstein and Herbert von Karajan. Thomas Sanderling has conducted extensively on the international stage, with orchestras in North America including the National Dallas, Baltimore and Vancouver Symphonies, in Europe with the Royal Stockholm, Oslo and Helsinki Philharmonics, and in the UK — the Philharmonic, London Philharmonic and the Royal Philharmonic. He is also a regular guest conductor of Radio Orchestras in the UK, Germany, Italy and the Netherlands. In Japan he won the Grand Prix of Osaka critics twice in three years and in 1992 became a Music Director of Osaka Symphoniker. This Orchestra recently awarded Thomas Sanderling with the title Music Director Laureate for Lifetime. Thomas Sanderling is equally acclaimed for his opera work. 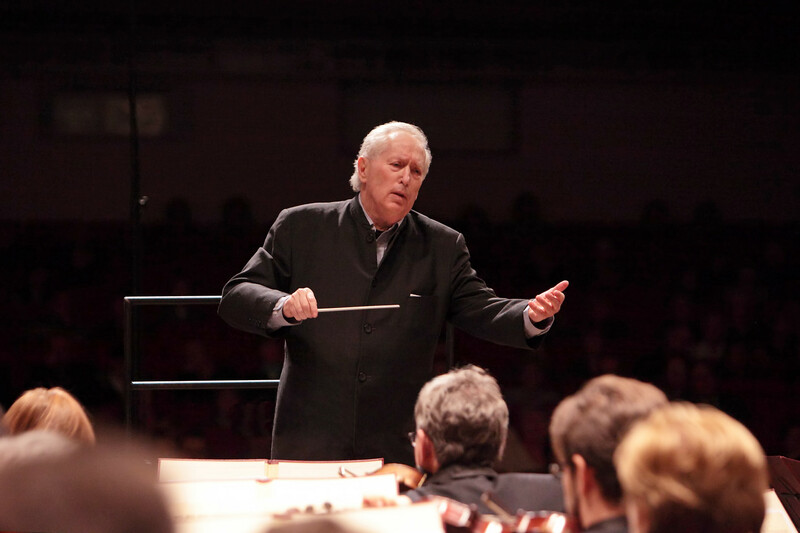 He was Permanent Guest Conductor of Deutsche Staatsoper Unter den Linden Berlin from 1978 to 1983 (when he moved to the West), where through the years he conducted an extensive repertory of operas by Mozart, Beethoven, Weber, Wagner, Verdi, Smetana, Dvorak, Puccini, Tchaikovsky, Richard Strauss, etc. Other notable appearances include Vienna Staatsoper – ‘Die Zauberflöte’ ( after that his Vienna Debut the Wiener Kurier wrote “….a new conductor from Berlin gave us Mozart full of mysteries. Astonishing.”), and ‘Le Nozze di Figaro’ (first performance after the death of Karl Boehm) — and at Bayerische Staatsoper, Frankfurt, Deutsche Oper Berlin, Hamburg State Opera and Finnish National opera. Thomas Sanderling enjoys a strong relationship with St.Petersburg Philharmonic society. His CD of Mahler’s 6th Symphony with the orchestra – his first Mahler recording – achieved great success, culminating in Cannes Classical Award in 1998. His following CDs — Brahms Symphonies with London Philharmonic Orchestra achieved similar recognition and attracted critics’ prizes of music magazines throughout the world. 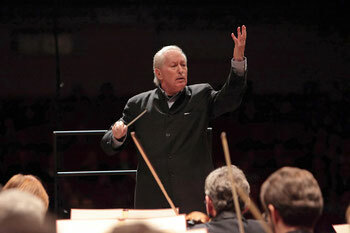 In 2002 Sanderling became the Guest Conductor of Novosibirsk Philharmonic Orchestra, in 2004 – the Principal Guest Conductor of the National Philharmonic Orchestra of Russia. In June 2005 he conducted two CD recordings for Deutsche Grammophon with Shostakovich Premiers, which received a high acclaim of the critics. Those CDs became “The Editor’s Choice” in September 2006. Plans of Thomas Sanderling are connected with the orchestras of Pittsburgh, Montreal, Detroit, Dresden, Liverpool, Greece, Malaysia, Sydney; in Russia – Tchaikovsky Big Symphony orchestra, Svetlanov State Orchestra, orchestras of St. Petersburg Philharmonic society. He staged “Lohengrin” by Wagner in the Mariinsky Theatre in St.Petersburg, “Lady Macbeth of Mtsensk” by Shostakovitch, “ Magic flute” by Mozart, in Beijing “La Noce de Figaro” by Mozart. He conducts best orchestras of Russia, Europe and the USA, makes CD recordings for Sony Classical, Orfeo, Naxos, Deutsche Gramophone, Audite. T.Sanderling recorded many CDs of Shostakovich, Mahler, American composers, Tchaikovsky, Taneev, Prokofiev. With Novosibirsk Philharmonic orchestra he recorded Symphony 5 by Prokofiev and Overture “Romeo and Juliette” by Tchaikovsky (ordered by Audite) and all symphonies by Taneev (ordered by Naxos). New-York magazine “Classics Today” appreciated much his work and his recording of the Symphony 4 by Taneev was chosen as the “CD of the Month” by Fono Forum, the leading critics’ publication in Germany. Bruckner. Symphony № 7. Saint-Petersburg Academic Philharmonic named after D.D. Shostakovich. Brahms–Schoenberg. Transcription of the Quartet. Orchestra of Moscow state philharmonic society. Verdi. Requiem. Madrid. Orchestra Santa Cecilia. Shostakovich. Vocal cycle on the lyrics of English poets. G. Finley, baritone and Helsinki symphony orchestra. Bruckner. Symphony № 4. Helsinki symphony orchestra – this program is recorded for the label ONDINE. Bruckner. 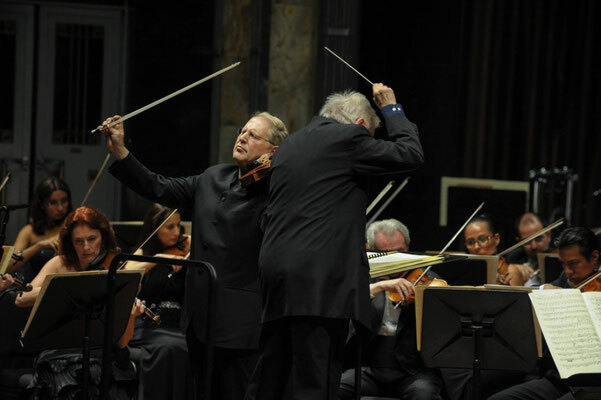 Symphony № 7 – with the State orchestra of Russia and National orchestra of Budapest. Verdi. «La Traviata» — with А. Shagimuratova at the National opera theater of Madrid. Brahms–Schoenberg. Transcription of the Quartet – with Slovak orchestra, Bratislava. Bruckner. Symphony № 4 – with Saint-Petersburg Academic Philharmonic named after D.D. Shostakovich. Weinberg. Symphony № 5 – with the orchestra of Berlin philharmonic society.